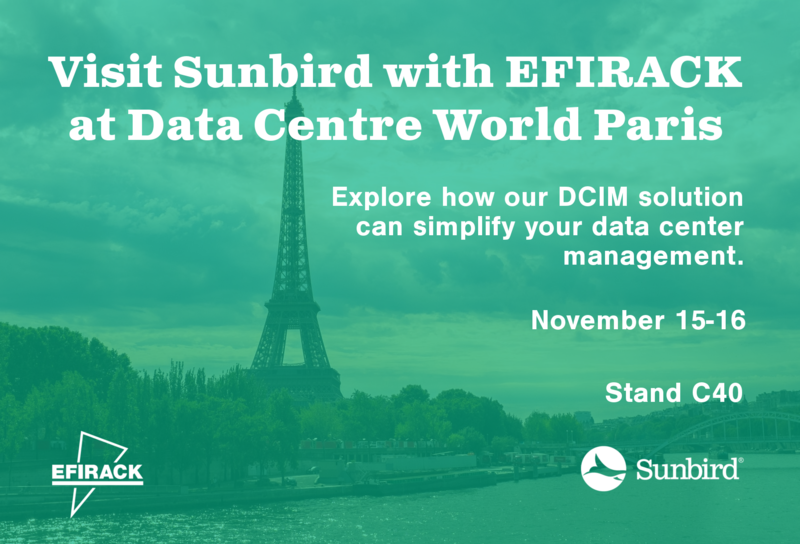 Join Sunbird at France's largest gathering of data center experts, Data Centre World Paris, on November 15-16, 2017 with our partner, EFIRACK. Stop by Stand C40 for a demo of our award-winning Data Center Infrastructure Management (DCIM) solution. At DCW Paris, you’ll have the opportunity to meet 150 key market players and learn from 250 industry stakeholders. Don’t miss this opportunity to network with like-minded professionals, get real-world tips from DCIM experts, and explore how Sunbird can help you simplify your data center power and cable management. Learn more and register here. Heading to DCW Paris and want to chat one-on-one with a DCIM expert? Sunbird representatives will also be available for individual meetings. Let us know if you’d like to meet.